With the PicoSure laser facial resurfacing solution available to patients in the Beverly Hills, CA area, Dr. Dennis Dass can provide patients with a reliable option for achieving healthier, more beautiful skin quickly and easily. 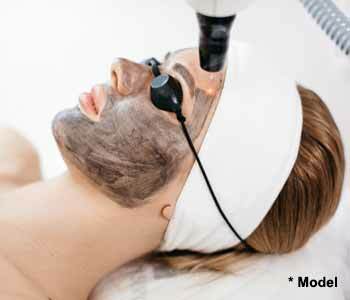 Laser facials are becoming extremely popular as patients in the community realize how dramatically they can change their skin and how quickly they can see the results. At the practice of Dr. Dennis Dass, patients have a Board-certified plastic surgeon administering the services available in the practice and providing reliable solutions for the skin. What is laser facial resurfacing? Dr. Dennis Dass describes laser facial resurfacing as a procedure that uses ablative laser light to stimulate the production of collagen and elastin while removing dull, tired skin cells from the surface. Our team utilizes the PicoSure laser to achieve results in resurfacing the skin without the need for scheduled downtime and recovery. The treatment can be used for many skin concerns. Why use laser facial resurfacing? Who can utilize PicoSure laser facial resurfacing? Patients of all skin types and ethnicities will be able to enjoy the benefits provided by PicoSure laser resurfacing. We encourage patients to learn about the procedure during an initial consultation appointment. Many patients are pleased to find out that one treatment can address a variety of issues, allowing patients to improve several areas of the face with one service. How many times do I need to undergo laser resurfacing to see results? While most of our patients will be able to enjoy the results of just one treatment, we highly recommend patients undergo several sessions to achieve optimum results. Approximately three or more can help most of our patients in seeing dramatic improvements over the course of several months. The skin will look smoother and be better toned, while conditions such as the signs of aging or melasma may be dramatically reduced. The PicoSure laser is designed to work at a specific wavelength that targets the deep and superficial layers of the skin with the light energy. This may feel to patients as a warming sensation on the skin which is not painful. Many patients find it tolerable, though we may encourage sensitive patients to have topical anesthetics used on the face prior to undergoing treatment. Patients relax in the treatment chair while the device is used along the skin. Once the procedure is completed, patients are given aftercare instructions to take diligent care of their skin following their service. This includes the use of sunscreen to protect the vulnerable skin from sun exposure. Dr. Dennis Dass encourages patients to visit for a follow-up examination to ensure the treatment achieved the results patients desired. Patients may also visit their doctor to discuss adding in other services which can be used to improve skin’s tone and texture, as well as facial enhancements through surgical procedures also offered. Many patients can greatly improve their overall appearance with the use of procedures available with Dr. Dennis Dass and his team, enhancing self-confidence and self-esteem in men and women. Do you live in Beverly Hills, CA and want to learn about laser facial services? Whether you are considering laser facial rejuvenation or even a laser face lift, Dr. Dennis Dass and his team of professionals use the latest modalities to help patients achieve better body contours and facial appearance without the need for traditional plastic surgery. Contact us today to book an appointment and consult with the staff about the ways to achieve the results you desire for your best self! Contact the practice at (855) 496-4646 or visit personally to schedule an appointment at 8929 Wilshire Boulevard, Suite 420. We urge patients to take the time to learn about the procedures available to help them look and feel their best!